Having sidelined Barack Obama's peace initiative by refusing to return to the negotiations table without apriori Israeli concessions, the Palestinian leadership seeks to secure an international declaration of statehood at the next U.N. General Assembly session in September 2011. This "date certain" strategy, whereby its entitlement to a state will be fulfilled by the world powers, has long been preferred by the Palestinian leadership to any arduous, bilateral negotiation with Israel, which would require painful concessions. The Palestinians enjoy wide support in many European capitals, and they know that the Obama administration is close to their positions on many of the core issues. So forcing the statehood demand into a multilateral forum can entice governments into satisfying the Palestinian aspirations by a fixed date. 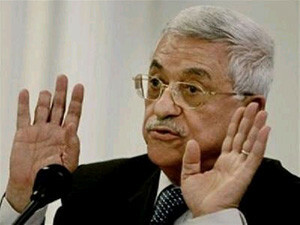 Since the start of the Obama administration, PA president Mahmoud Abbas has refused to engage in direct talks before the stoppage of all Jewish construction activities in eastern Jerusalem and the West Bank, despite having negotiated with seven previous Israeli prime ministers without such preconditions. Some key European leaders have shown growing receptivity to setting a date for the creation of a Palestinian state. Their frustration has mounted since the breakdown of the Oslo negotiations when Yasser Arafat launched his war of terror in September 2000, then rejected Bill Clinton's final proposal in January 2001. In 2002, the Europeans hatched the idea of a "road map" for Arab-Israeli resolution as a way to create deadlines for the establishment of a Palestinian state, and European Union pressure led to the creation of the Quartet (the United States, U.N., European Union, and Russia), and to the Quartet's first statement on September 17, 2002, announcing "a concrete, three-phase implementation road map that could achieve a final settlement within three years." But none of this happened. Solana, Moratinos, and Kouchner are no longer in their positions, and Europe has not delivered what the Palestinians sought. The Palestinian leadership has taken its own initiative to force a deadline for statehood without negotiations. In a major address at al-Quds University on June 22, 2009, Salam Fayyad of the Palestinian Authority announced a 24-month program to build the institutions of statehood, so that "the Palestinian State [will] become—by the end of next year or within two years at most—a firm reality." He predicted that the "building of institutions ... within two years will enable us to swing back the position of the international community in support of our right to an independent, fully sovereign State on the 1967 border and with East Jerusalem as its capital." On August 26, 2009, Fayyad issued the details of his program for building statehood institutions within two years. His initiative was quickly adopted by the Middle East Quartet, which declared on March 19, 2010, that "negotiations should lead to a settlement negotiated between the parties within 24 months." "It's not a coincidence that the Europeans came out with a landmark statement," Fayyad boasted. "All of a sudden everyone is talking about a two-year timeline. The Quartet on March 19 of this year said two years. Well, their two years is longer than ours—we started a bit earlier." On August 20, 2010, the Quartet made another statement shortening its timeline to match that of Fayyad, declaring that "a settlement ... can be completed within one year" instead of the two years it had announced just five months earlier. Prime Minister Netanyahu said ... that he believed it could be done within a year. President Abbas has expressed similar sentiments to me. So we believe it can be done within a year ... Both the United States and the Quartet have said that we believe there should be direct talks without preconditions ... If those negotiations are conducted seriously ... they can produce such an agreement within 12 months. Indeed, Netanyahu did give a nod to the 2011 target date, perhaps as an indication of his own sincerity about peace talks. In his September 8, 2010 Rosh Hoshana greeting, the prime minister said, "I believe that we should make every effort to reach a historic compromise for peace over the coming year." Then during a press conference in Sderot on September 21, 2010, Netanyahu added, "My goal is not to conduct a process but to complete it ... to reach a historic peace. ... [through] accelerated negotiations within one year in order to achieve a framework agreement." But the most important victory for the Palestinian date-certain campaign was the dramatic pronouncement by Obama in his remarks to the opening session of the United Nations General Assembly on September 22, 2010. Obama said, "When we come back here next year, we can have an agreement that will lead to a new member of the United Nations—an independent state of Palestine." This was the only line in Obama's 2010 speech that received an enthusiastic ovation. The Palestinians remained unimpressed. Palestinian Authority chairman Mahmoud Abbas responded, "I hope this is not just a slogan, and when the time comes, he says, 'We are sorry we could not [do it]. Leave it for next year.'" He continued, it "is a promise and a debt around your neck, and it must be realized so that Palestine becomes a full member state of the United Nations." The Palestinians now have a plan to receive payment for all these promises and collect on this "debt." In January 2011, the Palestinian Authority (PA) announced that it had prepared a draft resolution to be introduced in the U.N. Security Council in September 2011 when Obama's one-year promise falls due. This includes formal recognition of a Palestinian state by the most authoritative organ of the world body and admission of Palestine as a member state of the United Nations. And it enshrines two additional key principles: (1) that the pre-1967 armistice line should be the basis for future negotiations over borders, and (2) that eastern Jerusalem be the capital of this Palestinian state. In his announcement of the draft resolution, Riad Malki of the PA said, "Such recognition would create political and legal pressure on Israel to withdraw its forces from the land of another state that is recognized within the '67 borders by the international organization." It would also have the effect of making eastern Jerusalem, where more than half the Jews in Israel's capital live, occupied territory, invalidating the titles to their homes. It would give a new state of Palestine legal standing to seek indictment of Israel's leaders before the International Criminal Court and to litigate a great variety of claims before the International Court of Justice. In fact, Abbas himself negotiated with seven previous Israeli prime ministers without such preconditions. For seventeen years—from the Madrid conference of October 1991 through Abbas's discussions with Israeli prime minister Ehud Olmert, which ended in 2008—a subject of recent disclosures by Al-Jazeera television—negotiations moved forward while construction of homes for Jews in eastern Jerusalem and the West Bank continued. Madrid, Oslo I, Oslo II, the Hebron protocol, the Wye River memorandum, Camp David, Taba, the disengagement from Gaza, and Olmert's offer to Abbas—all these events over the course of two decades were made possible by a continuing agreement to disagree about Israeli construction of Jewish homes in Jewish neighborhoods outside the pre-1967 line in East Jerusalem. But now, on Obama's watch, the PA is refusing to negotiate. This is a direct violation of the commitment the Palestinians made at the start of the Oslo process, which included Arafat's pledge to Prime Minister Yitzhak Rabin on September 9, 1993, that the "PLO commits itself to the Middle East peace process, and to a peaceful resolution of the conflict between the two sides, and declares that all outstanding issues relating to permanent status will be resolved through negotiations." It is also a direct violation of the pledge that Abbas himself made barely three years ago at the Annapolis conference, witnessed by the foreign ministers of fifty-seven countries: "We agree to immediately launch good-faith bilateral negotiations ... vigorous, ongoing, and continuous negotiations." Yet the Obama administration has been utterly silent about the Palestinian refusal to negotiate, issuing not a single audible word of criticism. Obama has certainly not been reticent to criticize what he sees as the failures on the Israeli side. On at least thirteen separate occasions, starting just weeks after Netanyahu took office, he and his top officials have issued sharply expressed objections to the building policies of the Israeli government, often doing so in the presence of the Israeli prime minister himself. For example, on March 9, 2010, Vice President Biden condemned "the decision by the government of Israel to advance planning for new housing units in East Jerusalem." Secretary Clinton said, "The president was very clear when Prime Minister Netanyahu was here. He wants to see a stop to settlements ... That is what we have communicated very clearly ... And we intend to press that point." Mahmoud Abbas has attributed the hardening of his own stand toward Israeli settlements to the example set by Obama. "President Obama stated in Cairo that Israel must stop all construction activities in the settlements. Could we demand less than that?" The administration did not mean to produce this result. Obama's envoy, George Mitchell, argued, "We do not believe in preconditions. And we urge others not to impose preconditions." Despite this, to repeat, neither Mitchell nor any other member of the Obama team has said anything pointed about Abbas's refusal to negotiate unless his preconditions are met. In February 2011, Abbas succeeded in putting Obama on the defensive at the U.N. Security Council by rejecting the administration's compromise formula and forcing it to veto a Palestinian resolution condemning Israeli settlements as an obstacle to peace. In September 2011, he will be going to the Security Council, daring the president to veto, and putting him in the hot seat. A veto would not be received well in the Muslim world, a key target of Obama's outreach, which is why he is looking for avenues for multilateral cooperation that would preempt the need for unilateral measures like the veto.. And if Obama does nonetheless veto a statehood resolution that has wide international support, he will be under pressure to offset this with fresh gestures toward the Palestinians. Obama's dilemma is that, either way, the refusal to negotiate will be rewarded. And negotiation of the issues between the Palestinians and the Israelis will still be nowhere in sight. "Chronological Review of Events Relating to the Question of Palestine," Monthly Media Monitoring Review, U.N. Information System on the Question of Palestine, Nov. 2002. "Communiqué Issued by the Quartet," United Nations, New York, Sept. 17, 2002. "A Performance-Based Roadmap to a Permanent Two-State Solution to the Israeli-Palestinian Conflict," United Nations, New York, Apr. 30, 2003. "Quartet Statement on the Middle East," European Union @ the United Nations, New York, Sept. 17, 2002. France 24 TV, Feb. 22, 2010. Bernard Kouchner, "Viable Palestinian State by 2012," Ma'an News Agency (Bethlehem), July 27, 2010. Salam Fayyad, address at al-Quds University, Abu Dis, Prime Minister's Office, Palestinian National Authority, June 22, 2009. "Ending the Occupation, Establishing the State: Program of the Thirteenth Government," Palestinian National Authority, U.N. Information System on the Question of Palestine, Aug. 2009. "Statement by Middle East Quartet," Moscow, Mar. 19, 2010. "Fayyad: 'Build, build despite the occupation,'" Palestine Note website, Washington, D.C., July 30, 2010. Quartet statement, United Nations, New York, Aug. 20, 2010. Political Transcript Wire, Aug. 20, 2010. "Rosh Hashanah Greeting from PM Netanyahu," Israel Ministry of Foreign Affairs, Jerusalem, Sept. 8, 2010. Benjamin Netanyahu, press conference in Sderot, Israel Ministry of Foreign Affairs, Jerusalem, Sept. 21, 2010. Barack Obama, remarks to the United Nations General Assembly, New York, White House Press Office, Sept. 22, 2010. World Bulletin (Istanbul), Nov. 11, 2010. Ha'aretz (Tel Aviv), Jan. 10, 2011. Benjamin Netanyahu and Hillary Clinton, remarks in Jerusalem, U.S. State Department, Oct. 31, 2009. Exchange of letters between Yitzhak Rabin and Yasser Arafat, Sept. 9, 1993, MidEast Web archive. Annapolis agreement, The Guardian (London), Nov. 27, 2007. Steven J. Rosen, "Why Isn't Obama Pressuring the Palestinians?" Foreign Policy, Jan. 4, 2011. Joseph R. Biden, Jr., statement in Jerusalem, White House Press Office, Mar. 9, 2010. Ahmed Ali Aboul Gheit, Egyptian foreign minister, and Hillary Clinton, remarks in Washington, D.C., U.S. Department of State, May 27, 2009. "Mahmoud Abbas: I Reached Understandings with Olmert on Borders," Middle East Media Research Institute, Washington, D.C., Nov. 16, 2010; The Jerusalem Post, Jan. 22, 2011. BBC News, Feb. 18, 2011. Steven J. Rosen, "Will Obama Use His U.N. Veto?" Commentary, Sept. 2010. Related Topics: Arab-Israel conflict & diplomacy, Palestinians, US policy | Steven J. Rosen | Spring 2011 MEQ receive the latest by email: subscribe to the free mef mailing list This text may be reposted or forwarded so long as it is presented as an integral whole with complete and accurate information provided about its author, date, place of publication, and original URL.